Autumn makes me feel warm and cozy as I pull my sweaters and turtlenecks out of storage. As I walk in the crisp fall air, hear the leaves crunching underneath my feet, I feel magic in the air. 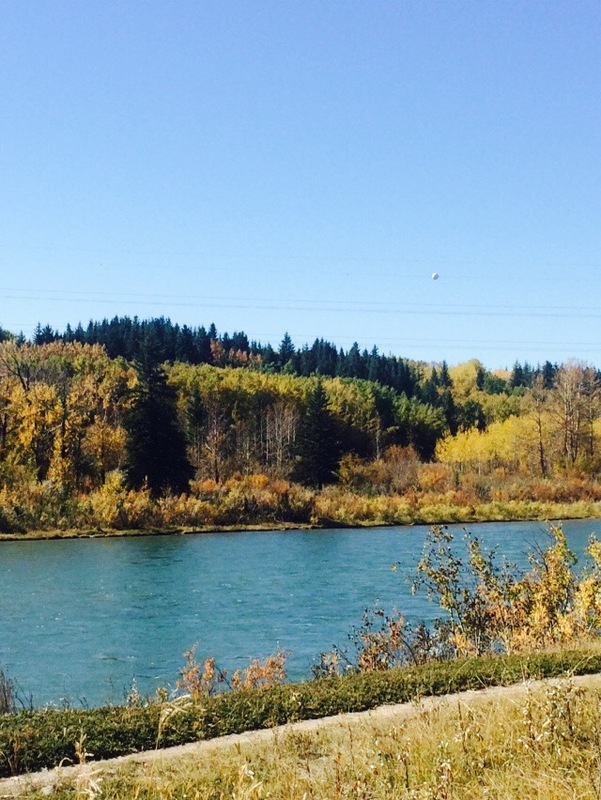 On Sunday I took a walk along the river with my son, and saw so much fall beauty. I admired the picturesque landscape of the leaves changing colour, the emerald water, and the pale softness of the driftwood along the edge. We stopped and threw rocks into the river, and I taught him the fine art of skipping stones along the water. 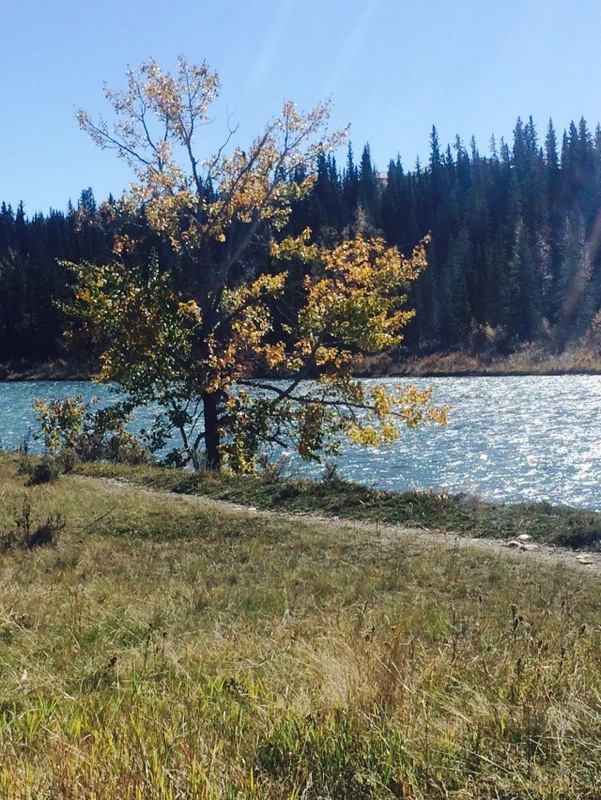 The sun shone and glistened off the water and I wanted to curl up on the grass and take a nap. With the amazing colour, sound of the birds chattering above, the reflection of the sun gleaming off the water, I felt like I was in a painting. Autumn makes me think of everything pumpkin, applesauce, apple cider, comfort foods like beef stew, chilli , and potato cheddar bacon soup. I love raking up big plies of leaves and taking turns jumping in them with my kids. There’s something so wonderful, carefree, and magical about that sensory pleasing crunch as my body falls into the pile. I have leaves in my hair, sticks in my sweater, and a sweet smile of satisfaction on my face. And as sad as it is to say goodbye to summer, I say hello to chai pumpkin spice lattes. This particular fall day felt like summer with a high of +27 as the sun kissed my face and warmed the earth. And I have visions of carving pumpkins and finding the silly and scary patterns to entertain my little trick or treaters. And yes my family is very big into Halloween so we decorate inside, outside, and ourselves to our kids delight. I’ll be out there in our neighbourhood in my retro costume, with my sons collecting candy with me. So as I write this now the sun’s setting and it’s time for the hamburger casserole I made to make it into my little ones tummy. As I take the hot apple pie out of the oven, and sit down to the yummy dinner I’ve prepared I’m feeling grateful. I say hello fall, cheers to you and all your splendid magic and thank you God for painting the background in your autumn beauty. 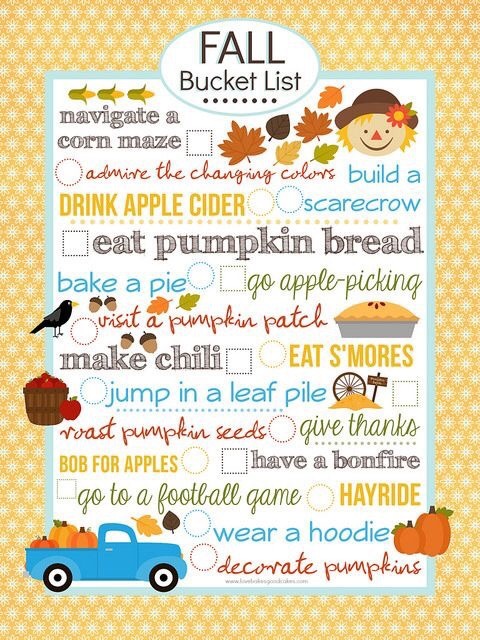 What’s on your fall bucket list? Tags: autumn, beauty, fall, gratitude.